The video game industry is currently one of the fastest growing markets globally with, for example, international franchises such as Assassin’s Creed, Call of Duty, and FIFA selling in record numbers. 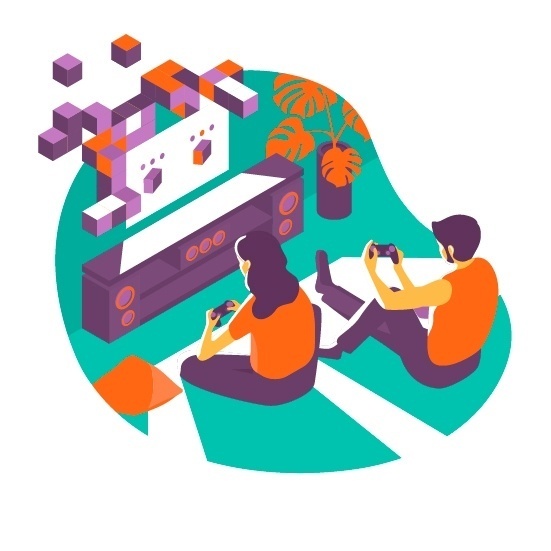 According to Newzoo´s forecast, the video game market will reach, in 2018, USD 137.9 billion in revenue, number which represents an increase of +13.3% compared to 2017. Considering the global projections, it’s safe to assume that the market is a multilingual one. This means that the video game localization, if correctly done, will help you to have a truly global reach. According to Vinu Saseedaran Renish (Product Manager and Technical Writer at Daytranslations), “video game localization is the process of adapting your game's content to a target locale’s language, legal and regional format requirements, as well as cultural sensitivities”. Taking this into consideration, the handling of the language barrier must be one of your top priorities if you are planning to release your video games in the Latin American market. According to The Language Factory, “Spanish is spoken as a first language by about 60% of the population, Portuguese is spoken by about 34% of the population and about 6% of the population make up a large variety of different languages”. Despite this, the localization process doesn’t stop at translating texts regarding games. It also includes the adaptation of art assets, audio transcripts and other game properties. Lastly, it should also be taken into account different format requirements (such as currency, date, etc.) and cultural sensitivities, whenever necessary. Why does video game localization matter? If you want to thrive in the video game market and guarantee the success of your games on a global scale, it’s not enough to translate the in-game content. Your company will need to localize the game so that it can be suited to the culture and the preferences of the target audience. This means that localization is about adapting a presence to a target market. For example, when Team Fortress 2 was released in Germany, the developer team had to remove some of its depictions of violence to comply with the country’s policies regarding gore. To localize or not to localize? Increased market share and international sales: It becomes much easier to enter a new market once your product is localized and available in several languages. Reaching out to new users and customers: You’ll be able to expand your group of potential buyers by adding more locales to your product. Ensuring better understanding of product functionalities: Overcoming the language barriers will allow your costumers to exploit the full potential of your product. Reducing support costs: Correct localization will help your users understand your product, which, in turn, ensures a better customer experience. Gaining competitive advantage: You’ll be able to enter markets that are still inaccessible to your competitors because of the language barrier. You might be losing potential customers if your competitors already sell localized software. Does this worth the effort? There are several examples confirming the benefits of localization, but here are a couple of cases to illustrate this point. When Defender’s Quest was released, it was fully localized in six language versions and the game’s sales in non-English speaking countries increased in a significant way. For example, the sales of the Russian version on Steam increased from 5% to more than 11% (share in the total sales), while those of the German one rose from 7% to more than 8%. Another example are the apps that we use in our phones. Without an adequate localization, the downloads figure for Abe The Dragon stood at 3,000. After localization, they rose up to 23,000 downloads, which means an increase of 767%. Successful business cases like these can help explain why video game localization is rapidly becoming mainstream. Localizing your game can help you boost your business, which means that nowadays it shouldn’t be considered an afterthought by the development team. It must be a key part of the whole endeavor, such as the game design and the marketing strategy. A similar approach should also be taken when dealing with monetization systems, especially when you are trying to access expanding markets such as the Latin American one. BoaCompra, for example, allows your business to accept the main payment solutions in any of the countries where we operate, offering more than 140 local payment methods. Blackman, Tim. “Video Game Localization: Invisible When Done Right”. Copyright 2017. January 7, 2019. Lifton, Daniel. “The ins and outs of video game localization with Dmitry Kornyukhov”. Copyright 2017. January 7, 2019. Morgan, David. “Games localization – the industry’s most challenging frontier?”. Copyright 2013. January 7, 2019. Pawlak, Dorota. “5 benefits of software localization”. Copyright 2016. January 7, 2019. Renish, Vinu Saseedaran. “What Is Video Game Localization And Why Does It Matter?”. Copyright 2017. July 20, 2018. “Video game localization - what is it and why should I care?”. Copyright 2017. January 7, 2019. Why is it crucial to reach the Latin America’s Millennials and the Gen Zers? Your subscription has been sent. An error occurred, try again. Established in 2004, BoaCompra enables merchants to easily access emerging markets through true, local payment methods.